Monthly sensory science related posts will be added here to help students share their research and student experiences. Professionals working in sensory science are also welcomed to contribute posts that will be of specific interest to the student community. If you are involved in E3S and would like to contribute please contact the group E3S-SESRG@e3sensory.eu. Currently, I am doing my Master internship at Sanofi which is a French multinational pharmaceutical company. It develops several products such as pills and creams. I am currently working on a project to establish a sensory laboratory to help the development of new products. I have found that one of the main goals of sensory and hedonic tests is to evaluate user experience which is mainly influenced by the emotional states of panelists. I decided from this evidence to identify measures of emotional state which can be applied during sensory and hedonic tests. The goal of this review is to develop measurements of emotional states which help to precisely evaluate panelists’ experiences during testing sessions. In the literature, several parameters are reported which can be used to measure emotional state and which can be defined as a combination of multiple dimensions such as arousal, valence, and approach/avoidance. In sensory evaluation, self-report measure is mainly used to measure the emotional state. It consists of an evaluation by verbalisation and/or a scale. However, when using this method, generally studies omit to take into account modulation by memory, expectation, attention and other psychological factors. Thus, the results obtained with a self-report measure are imprecise and therefore, difficult to repeat. Furthermore, this method can be only used if individuals are able and/or not aware of their own emotional state and can’t report it. This task can be difficult, especially for children. In order to solve these problems further parameters from other fields can be included in sensory testing sessions. In physiology, autonomic nervous system measures are used to estimate emotional state dimensions separately. This can be done by measuring the activation of the autonomic nervous system by using a sensor. The activity is modulated by an emotional process but also other processes. The first physiological parameter is the pupil size (Figure 1). Changes of the size are indicating emotional arousal of participants. This approach has already been adapted during sensory testing for example during concentrated fruit syrup, stewed fruit and spread tasting sessions (Lemercier, 2014). Once the eye-tracker was calibrated the tasting session started. Participants stared at the screen during the whole session and pupil size was measured. The second parameter is startle reflex measurement. But, sensors are placed on participants’ faces, which can induce a source of stress and shift their perception. This problem is rediscovered in another physiological parameter which is neural oscillation. It can localize brain circuit of emotional state, which is related to approach and avoidance for example disgust. Physiological parameters are mainly unconscious processes so they are powerful objective measures of emotional state. To date, it appears that only one parameter can be used during sensory testing, namely the pupil size. Behavioral studies are based on individuals’ capability to communicate emotional state. We can infer the emotional state of another person by using vocal (amplitude, pitch), facial, and body cues. The most popular is the facial expression which can estimate valence of emotional state (Russell, 1994). This technique has been used several times during sensory testing with adults and new-born (Rostein et al. 2015). The whole body parameter can be used if participants can move freely in the environment. It would be hard to apply this measurement when doing sensory testing in booth where movement is limited. The last parameter and the least known is voice recording. It has been shown that some vocal characteristics can inferred on the arousal of the emotional state (Figure 2). This measure has never been used during sensory testing with healthy participant but it can be measured easily. In fact, vocal characteristics can be measured with a simple microphone and let participants move during sensory testing while pupil size needs a specific tool (eye-tracker) and doesn’t allow participant to move freely their head. In conclusion, there is something else apart from the traditional sensory science out there. In fact, neuroscientific tools are complementary to classical sensory methods. They allow to bring objective powerful parameters which can be used during sensory testing to evaluate objectively user experience, for example by recording voices, pupil size, or facial expression. But, an important remaining question arises, do these different measures converge? Johnstone T & Scherer KR. Vocal communication of emotion. In: Lewis, M.; Haviland-Jones, JM., editors. Handbook of emotions. New York: Guilford Press. 2000:220-235. Noel C & Dando R. The effect of emotional state on taste perception. Appetite. 2015. 95:89-95. You can also contact me by e-mail. On Thursday February 8th 2018 the ‘Nudging Healthy Food Choice symposium’ was organised on social & sensory nudging in relation to food perception & choice by the NUDGIS consortium (https://www.nwo.nl/en/research-and-results/research-projects/i/11/11011.html). The day started with a session on how sensory nudges can affect food choices and perception. Prof. Dr. Charles Spence from the University of Oxford gave a talk on the importance of extrinsic cues on product perception. Altering a dish from ‘Patagonian Toothfish’ to ‘Chilean Sea Brass’ increased restaurant orders by 1200%. He also demonstrated that shape impacts perception, where consumers rated rounded Cadbury chocolate as sweeter compared to the traditional squared size. After this I presented my research on the effects of packaging colour on product perception, implicit attitudes and neurological correlates. My results reveal that making packaging colours more vibrant can make healthier products more attractive and flavourful. Social nudges also influence product perception. According to Prof. Dr. Maggie Geuens from Ghent University (and Brian Wansink), a nudge should use the CAN approach (Convenient, Attractive & Normal) to be effective. For example package re-saleability can increase convenience and surface mimicry can enhance attractiveness. My colleague (Robert Goedegebure, PhD candidate, Wageningen University) continued with effects of popularity on product choice, popularity cues can induce inferences influencing product perception and choice (e.g. related to product quality). Post lunch Marije Vogelzang (a Dutch eating designer) presented her work. For example, she transformed vegetarian meat products by inventing made-up animals, giving consumers a story concerning their veggie-meet, and in turn influencing how consumers think about and relate to these products. After this Dr. Gareth Hollands of Cambridge University “unfudged nudging before judging it”, building a cumulative evidence base for (e.g.) nudges (TIPPME (Typology of Interventions in Proximal Physical Micro-Environments) and presented several meta-analyses results on nudging. Lastly, Dr. Marieke Adriaanse from Utrecht University presented work on the effectiveness of on-line default nudges (preselection) and salience on product choice and concluded that default nudges promote healthy food options at the expense of unhealthy options. Although the symposium was not specifically related to die-hard “sensory science” it is not less important! On the contrary, the symposium presented a unique bridge between social, sensory and food science. The day was insightful and a lot of fun! The 21st ICED conference was held almost at the same time with the last PANGBORN symposium. As stated in the name, it is a conference on design-based topics either for the industry or teaching practices. It takes place every two years and the next edition will be at Delft University of Technology in the Netherlands. Most of the time, this conference takes place in Europe. But this time, it was in the beautiful campus of the University of British Columbia in Vancouver, Canada. I had the greatest opportunity to present a part of my PhD project focused on texture perception in product design. The objective of my study was to investigate how the texture perception could be affected by the perception of context. In other words, do people perceive the materials texture in the same way as when it is presented in an anonymous form or embedded in an identified object? In order to address the issue, the case study was based on smartphone cover cases. The texture was analyzed in two different contexts: in the smartphone cover case (object) and in a piece of material extracted from the smartphone cover case (anonymous). The Napping procedure was used to collect perception data from an untrained panel. This procedure, originally developed for food and beverage products, was adapted for the evaluation of material texture. The sensory test was done using a custom-made experiment allowing automatic data collection in the visio-tactile modality. The sensory data were statistically analyzed using Factominer package available in R software. The mean representation of samples among the panel in the two contexts (object VS anonymous) were compared using the RV coefficient. In addition to that, the words collected during the sensory test were also analyzed using data mining packages, also available on R. Those words or descriptors give insight on discrimination criteria used by the panel, allowing a better understanding of the texture perception in the two contexts. Sensory evaluation is increasingly used in non-food related fields. The procedures originate from the food industry. But due to the product specificities (like material, shape, texture, function), it requires some adjustments. This the challenge of using sensory evaluation for non-food products. Considering this, the French Sensory Society (SFAS) has created a “non-food” working group in 2017. You are all invited to discover our activities during the next E3S symposium in Dublin on May 8 and 9, 2018. The first international meeting of European Sensory Science (ES3) students was held at the Universidad Politécnica de Madrid, in the beautiful capital of Spain, on the 22nd of November 2017. The meeting attracted more than 70 delegates, including represents of industry, sensory scientists, undergraduate and postgraduate students from all over Europe. The aims for this conference were to encourage students in sensory field to participate actively in the ES3 students’ working group and to provide opportunities for students to share their research experiences through oral presentation with audiences from academic fields, industries and international backgrounds. Nine presentations were delivered in three sessions, (i) consumer response studies, (ii) studies combining analytical and consumer tests and (iii) perception studies. The day started with a networking lunch, where I had the opportunity to talk to other speakers and the organiser of the conference. After the lunch, the meeting officially kicked off with a short introduction delivered by Dr Carolina Chaya. I was the first speaker to present my talk titled “Consumer perceptions of beef: a comparison of consumers from different regions”. This novel research demonstrates the similarities and differences at Northern Ireland, Republic of Ireland and Great Britain. It was also very interesting to listen and learn about other work done by sensory students in different areas, such as tea, wine, low salt recipes, low calorie meals, pork and cod loins. The standard of the presentations were superb and all delegates actively participated in the discussions at the end of each session. In addition, a round table forum was organised after the presentation sessions, which made the meeting more informative. The forum titled “sensory science: present and future”. Dr. Laura Vázquez (researcher at Basque Culinary Centre Innovation), Rocío Dorado (sensory technician at Merieux NutriScience), Marta García (product manager at LACTALIS) and Dr. Carolina Chaya (professor at Universidad Politécnica de Madrid) were invited as keynote panels in the discussion. The forum highlighted the current position of sensory science in industry and provide insights working as a sensory scientist. Moreover, the necessity of sensory science in product development and optimisation of new products were discussed. At the end of the conference, I was invited by the organiser to share an amazing Tapas dinner with other speakers in the conference. Overall, this first international meeting of ES3 students has been a huge success. I would like to thanks Dr Carolina Chaya and Maria Mora for their hard work in organising the meeting. I truly enjoyed the meeting and I am looking forward to the next one. The II Congreso Nacional de la Asociación Española de Profesionales del Análisis Sensorial (AEPAS) was held at Ciudad Politécnica de la Innovación in Valencia from 18th to 20th October. Around 130 delegates attended, involving scientists from different countries including for example Italy, France, and Uruguay. I was invited to this conference as a winner of the Adacta International in Sensory & Consumer Science award received at the VI National Conference of the Italian Sensory Science Society held in Bologna, between November 30th and December 2nd, 2016. I would like to thank both the Italian and the Spanish sensory societies to give me the opportunity to attend this conference. During the three-days event, an intense program with interesting oral, flash and poster communication was delivered. Young scientists and also students had the possibility to contribute. The standard of presentations was high, and a wide range of topics was divided across the sessions including presentations about sensory characterisation, consumer research, new aspects of the sensory evaluations, and sensory methods. During the second day of the conference, I had the opportunity to show few of the main results of my PhD thesis aimed at investigate behavioral and physiological drivers of obesity using a sensory approach (tutor: prof. Ella Pagliarini) in a flash presentation. It was a great experience, also because I had the opportunity to meet scientists after the presentations, to discuss with them and to plan new future collaborations. The gala dinner was held in a beautiful restaurant at the Ciutat de les Arts i les Ciències, thus, the delegates had the oppurtunity to visit one of the main attractions of Valencia. A friendly atmhosphere during the dinner made this experience unforgettable! 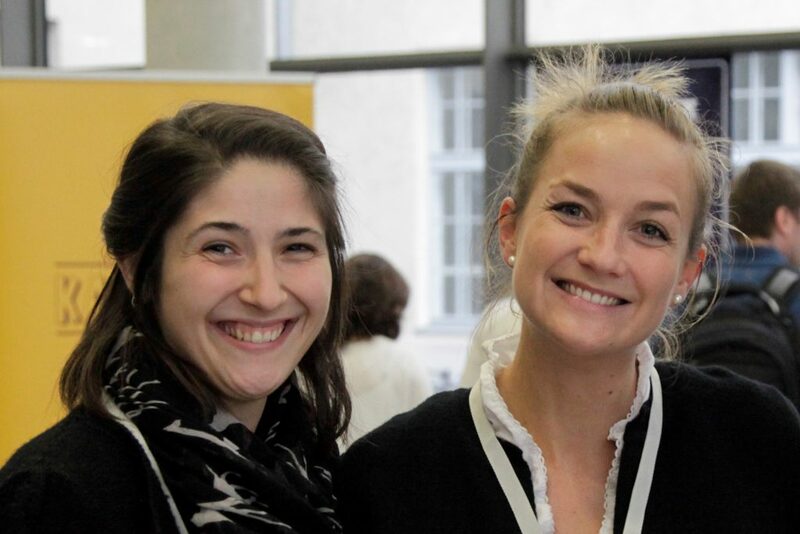 The 15th Weurman Flavour Research Symposium with over 230 participants from around the world took place at the Technical University of Graz from September 18th –22nd. Scientists as well as representatives of the industry and students came together at the historic buildings of the Technical University of Graz in the southern part of Austria. The Weurman Flavour Research Symposia are held every 3 years and in different cities around the world. The Symposium is named after Cornelius Weurman who had the idea of forming a conference covering all current topics regarding flavour science. Unfortunately, he passed away before the first Symposium was held in 1975, so the organizers decided to name the Symposium in memory of Cornelius Weurman. Ever since it is one of the most important international conferences regarding the topic and developments in flavour research. At the conference, 30 oral lectures, 7 plenary lectures and 3 flesh presentations were held. 130 posters were presented in two poster sessions. Furthermore, one day ahead of the official opening two satellite symposia were given. 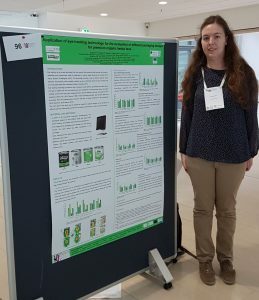 The European Sensory Network Student Group was represented by Iris Tauber, who contributed a poster on “Apple Flavour Characterisation from Skin to Flesh – On the Basis of the Old Apple Variety ‘Ilzer Rose’”. We especially enjoyed the opening lecture given by Veronika Schöpf from the University of Graz about olfactory loss and neuroplasticity. She talked about neuroimaging, the coherences of environmental factors and the perception of different odours. Furthermore, the lecture of Celeste Holz-Schietinger, from the US based company Impossible Foods was very interesting. The company is working on a meat substitute made out of plants that should mimic a meat-like texture and flavour. In their last consumer test, they had a 48% approval rate of the consumer comparted to a classic meat burger. To obtain such a meat-like overall appearance, the company gains Heme out of plants and adds it to their burger patties. On the last day of the congress, analytical techniques were subject of focus. The last keynote lecture was given by Erich Leitner from the Graz University of Technology, where he is working at the Institute of Analytical Chemistry and Food Chemistry. In his lecture he talked about the different methods to measure smell and the challenges someone faces when working for instance with different GC systems. On the one hand he showed where problems can occur but on the other hand also provided solutions to common difficulties experienced when measuring volatiles compounds. Besides the scientific program, a broad social program was provided by the organizers. The first day of registration was rounded off by a typical Austrian dinner with lots of different specialties of Austrian food. After two whole days of lectures the participants were able to follow a guided tour through the historic center of Graz and enjoyed the scenic city. In the evening, a Styrian Delicatessen Fair was held in the courtyard of the New Technical University of Graz, offering different kinds of cheese as well as meat and vegetable dishes. Furthermore, sweets like ice cream, apple strudel or Austrian cream pastries was served along with coffee. To round off the special foods, local beer and typical Styrian wines have been provided. On Thursday evening, the Conference Dinner took place in the Old University near the historic theatre of Graz. The rooms of the Old University, nowadays used for events and dinners, once served as library of the first university in Graz, was founded in 1781. The International Conference on Culinary Arts and Sciences (ICCAS) took place in Denmark at the amazing Aalborg University in Copenhagen, between July 5th and 7th. More than 100 participants attended this conference. The aim of this conference was to promote and enhance the quality of research in culinary arts and related sciences, to facilitate the sharing of good practice, interests and ideas amongst the academic community, to offer support and encouragement to those involved in culinary arts and sciences and to provide opportunities for networking with colleagues from a range of institutions, academic fields and national backgrounds. The conference was enriched by three keynotes sessions, 19 parallel sessions with 60 oral presentations and a poster session. More than 100 research works have been presented. The conference was divided in six big areas of knowledge: (i) Food Service & Hospitality; (ii) Food Heritage & Authenticity; (iii) Big Food Data & Small Devices; (iv) Regional Food Systems & Sustainable Diets; (v) Gastrosophy & Culinary Sciences; (vi) Food Choice & Behavioural Dynamics. On the sensory field there have been oral presentations on sensory properties of food products and a pilot study evaluating how 4-6-year-old children are perceiving basic tastes before and after training for basic tastes identification. Included in the food & smart digital technology theme, but with an inside view in the emotional response, I presented my work with the title “On the application of a Temporal Dominance of Facial Emotions (TDFE) approach to evaluate food-evoked emotions”. This work proposes a new method of evaluation of temporal dominance of emotions using the Face Reader measurements to establish a profile during the time of the food products evaluation. There was also a presentation on the FoodSMART project, which has been created to be a consumer aid tool supporting informed and healthy choice of dishes out of home. In a world with a significant increase in food-related diseases, it’s important that consumers can eat “out-of-home” and choose healthy menus. This tool might be a way to overcome the lack of nutrition information in public food spaces. Moreover, we had the opportunity of “travelling” a bit in the ICCAS conference, meaning that we met the Case of Shunde: the Creative City of Gastronomy in China, the Grythyttan city in Sweden and the Copenhagen food strategy. This round table was useful to understand different strategies for the development of foodscapes. At the end of the conference, we had the opportunity to visit the Copenhagen Street Food which was a very funny experience. The contact with many different types of foods, cultures and habits was an amazing experience! The 12th Pangborn Sensory Science Symposium was held this time in the home state of Quahog, the town where the animated TV comedy show Family Guy is set. Harry Lawless told us this in his entertaining surprise talk and introduced us with Providence, Rhode Island. Pangborn was bigger than ever with 1,005 delegates from more than 45 countries. The majority (around 60%) was from industry which was exceptional because academics have usually ruled the event. We saw plenty of interesting presentations in the Rhode Island Convention Center, also from the E3S student group members. This time 397 posters were divided into two sessions which made the sessions more intensive. Additionally, the posters were located close to each other, so it was easy to find what you were looking for. The topics were quite traditional but there were some interesting plenary talks out-of-the-box. One of them was “The Gut/Nose-Brain-Axis” by Veronika Schöpf. She explained how gut microbiota and the brain communicate with each other and thus, it seems that microbes affect our emotions. Because sensory perception is processed in the brain, the microbiota could play a role in that, too. “Escaping p-value land: The future of lean decision-making in sensory evaluation” was a very interesting workshop as well. Moreover, the field of sensometrics was introduced. The workshop was mainly about how traditional significance testing and p-values may not be the best way to show the importance of study results. Because significance and sample size are depended, the statistical significance becomes irrelevant if the sample size is big. Thus, it might be better to put more emphasis on effect sizes. Beyond the scientific program, the E3S student group had a short meeting to discuss the development of the group activities. It was so nice to see familiar faces from the get-together in Eurosense 2016 and also several new colleagues. Altogether, 16 students from 9 countries participated and made lots of interesting ideas. The annual Nursten Postgraduate Flavour Symposium was held at the Agri-Food and Biosciences Institute (AFBI) in Belfast, in memory of the late Prof Harry Nursten. Around 50 delegates attended, including those from AFBI, the Universities of Reading and Nottingham, University College Dublin, and University College Cork and Teagasc. During the two day event, 21 student presentations and four early stage career presentations were delivered. As always the standard of presentations were high, and a diverse range of topics were divided across the four sessions titled; Flavour Formation, Applications and Methods, Aroma and Flavour Perception, Flavour/Aroma Release, and Factors affecting Flavour. Delegates had the opportunity to participate in a fantastic workshop focusing on orange flavour, delivered by Magdelena Baczewska and Brian Surgenor from TREATT. Dr Dave Baines (Baines Food Consultancy Ltd) delivered a fascinating and informative presentation on The Health Benefits of Indian Curry, and Dr Avinash Kant (Pepsico) gave a great insight into A Flavour Scientists Journey in Industry. However, it certainly wasn’t all work and no play as delegates got to let their hair down during the brewery tour and beer tasting session at Hilden Brewery, before settling down to a delicious three course meal at the end of day one. After a packed second day the conference closed with an award ceremony, during which I was delighted to be awarded the best overall presentation (Nursten Trophy and prize, sponsored by Society of Chemistry in Industry, SCI) for my talk titled ‘Measuring phantom taste and temperature related responses across thermal tasters and thermal non-tasters’. Thermal taster status describes an unusual taste phenotype where some individuals, termed thermal tasters, perceive ‘phantom tastes’ when no chemical tastant is present, and the tongue is simply warmed or cooled. For the first time, this novel research demonstrates cortical activation occurs in the primary gustatory cortex at the time point when thermal tasters report perceiving phantom tastes, suggesting phantom taste is a ‘real’ phenomenon. A number of other awards were presented to; Stephanie Bull (University of Reading) best presentation on flavour chemistry (Royal Society of Chemistry, RSC), Imogen Ramsey (University of Nottingham) best presentation for industry application (SCI), Irene Chong (AFBI and University College Cork) most popular presentation (Institute of Food Science and Technology Sensory Science Group), Marit Nijman (University of Nottingham) best first year presentation (AFBI), and special commendation prizes (RSC) were awarded to Tiffany Lau, (University of Reading), Vasiliki Gkarane (University College Dublin), Paula Conroy (University College Cork), and Nurfarhana MohdNor (University of Reading). It was a great experience, so thank you to AFBI for hosting it, Janeen McKinnie-Hill for her hard work with the organisation. We look forward to hosting the 6th Nursten Postgraduate Flavour Symposium at the University of Nottingham in 2018. What makes people choose a regular or half-size potion of cake when they are in a café? This was the question researchers from the University of Nottingham tried to answer with real-life context research during a series of public engagement events in 2016 and 2017. Café Connect is a Public Patient Involvement (PPI) event organised by the University of Nottingham and supported by a Wellcome Trust People Award granted to Professors Joanne Hort (Biosciences) and Ellen Townsend (Psychology). During the event visitors are invited to take part in a range of activities related to health research. The event has a dual objective: researchers can showcase health related research as well as obtain participant input to research questions, methodology and other topics in order to improve their research in the future. Sensory Scientists from the University of Nottingham’s Division of Food Science took the opportunity to study factors related to portion size choice during the series of Café Connect events. 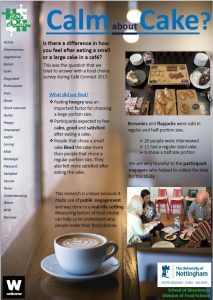 In 2016 they engaged with the public by inviting visitors in the café to join focus groups to discuss key factors in treat choices and portion size. Focus group participants were also asked for their opinions on different research strategies such as questionnaires, interviews, being observed or filmed and their willingness to cooperate with these methods if they were approached in a café. Perhaps not unexpectedly, the focus group members were not keen on the idea of being filmed while eating a cake. Participants also expressed worries about hot drinks getting cold while they were interviewed. A questionnaire was the preferred method for most, as long as it did not take up too much time. Based on the learnings of the focus group discussions a questionnaire was designed to include the key decision factors for having a cake in a café. During two two-day events in 2017 visitors of the café in Nottingham’s city centre were approached by volunteers after purchasing brownies or flapjacks that were offered in regular and half portion sizes. In addition to a number of key food choice factors, participants’ expected and actual emotional response was measured before and after eating the cake respectively, using the EsSense25 emotion lexicon. 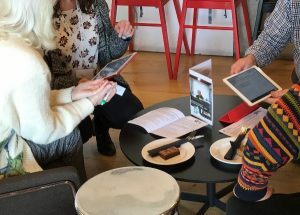 Another novel aspect of this study was that the focus groups participants were invited to get involved with data collection which allowed for some interesting observations on the interaction between participant engagers and study participants. In the real-life context of this experiment, data collection was fully dependent on the number of visitors that chose to buy the specific cakes. Visitors had to come into the café, choose to have one of the specific cakes that were studied and furthermore, be willing to participate in the study. As a result only a small number of participants were recruited over the course of four days. The results showed no significant differences between the expected and actual emotional response. Cake-eaters expected to feel calm, good and satisfied after eating a cake. The most frequently mentioned reason for having a large cake was feeling hungry. Interestingly, people that chose a half-size portion liked the cake significantly more (P<0.05) and felt significantly more satisfied after eating the cake (p<0.05) than those who chose the regular sized portion. These results indicate an effect of sensory specific satiety when having a large portion size. The learnings were presented to the wider public by Professor Joanne Hort during the final Café Connect Event in the end of June. In addition the research was presented on a poster at the IFST Sensory Conference 2017. Interested in finding out more on this explorative work on emotions, food choice and context? The 4th International Conference on Cocoa, Coffee and Tea 2017 (CoCoTea2017, Elsevier), in which 200 scientists, representants of the industrie and students of the whole world participated, took place in Turin (at Centro Congressi Torino Incontra), a beautiful city in northern Italy, from 25th – 28th June 2017. The aim of this conference was to bring together experts and young scientists from different fields (food chemistry, food technology, nutritional science, human medicine, agriculture and environmental science) in order to share scientific achievements and contribute to the development of scientific knowledge and stimulate innovative ideas in the world of coffee, cocoa and tea. As mentioned above, the sensory aspects of cocoa and cocoa-derived products, coffee and tea were among others the subject of focus throughout the conference. A lot of research was presented investigating the profiles of sensory-active volatiles and fingerprints of these commodities using analytical methods (such as PTR-ToF-MS, GCxGC-MS, SIFT-MS). In some studies, the analytical data was correlated to sensory data in order to e.g. evaluate the potential of these methods to predict sensory perception and key attributes. A few studies also performed GC-O (gas chromatography-olfactometry) for this purpose. Particularly interesting was one study focused on the development of coffee emotionmaps and neuroinsights by combining physicochemical and sensorial analysis with neuroscience in order to get a better understanding of perception and consumer behaviour. Furthermore, studies were presented examining chemical interactions occuring during processing and their impact on taste and flavour generation and sensory profiles (such as caffeine-polyphenol-melanoidin interactions and bitter taste perception of coffee beverages). Researchers aimed to investigate the impact of different bean/leaf processing procedures, preparation methods, varieties, origins and climatic conditions on the chemical/nutritional composition and thus sensory characteristics. In general, most of the research considered different aspects of coffee or coffee beans. Cocoa beans and chocolate were the second most abundant topic. However, tea should have received more attention as it is also a very interesting field. After 2 and a half days fully packed with interesting lectures, networking, coffee drinking and chocolate eating, we were able to visit the Domori chocolate factory, located outside of Torino which specializes in high-quality chocolate. The visit included a guided tour through the small factory, where chocolate is produced from bean to bar, and a chocolate degustation. Our research received a lot of attention within the CoCoTea community. My impression was that CoCoTea experts become more and more aware of the contribution of oral processing on flavour release and sensory perception as a function of time and thus were very interested in the TDS methodology. In the past, mainly taste and flavour were considered to be important, however, many people were interested in Saskia`s research, showing that mouthfeel and texture receiving more attention within the food science community. I really enjoyed the conference as I learned a lot about research done on cocoa and chocolate in other areas than sensory science, which gives me a broader picture on the food I’m currently working on. But in return, I think CoCoTea experts also benefit from research of sensory specialists as luxury goods such as chocolate, coffee and tea are mainly valued for their sensory characteristics and sensory science provides so many more tools than were used in the presented studies. A great opportunity was also meeting and talking to experienced researchers as well as PhD students from different fields, sharing knowledge and passion for the same subject. 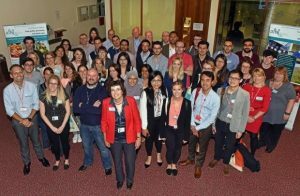 A review of 2017 Institute of Food Science and Technology (IFST) conference: It’s not always just about the flavour! The 2017 Institute of Food Science and Technology (IFST) conference took place at the De Vere Jubilee conference centre in Nottingham, United Kingdom. The focus of this conference was to explore all sensory attributes and not just flavour alone. There were approximately 70 attendees from both academia and the industry. Throughout the day there were oral presentations, poster presentations and workshops. What I like most about conferences like this is the workshops. At this conference there were two workshops. One focused on the appearance of a food product while the other workshop explored the aroma of food. In the first workshop about appearance, there were 3 slices of bread and a juice drink for each person. Firstly, the appearance of the juice drink was discussed. It was a red juice and all participants were instructed to drink and identify the flavour. There were varying answers in the group and it was discovered to be pineapple juice. This was just a small insight into how we perceive a food product before we consume it. The second workshop was about aroma. There were three activities, one of which included a triangle test where we had to identify the odd aroma. It is interesting as sensory scientists to take part in the tests we use in order to obtain a full understanding of what it is like for the panellists and consumers. An oral presentation that I found particularly interesting related to sound and sensory evaluation. The presenter explained how he works in a laboratory test centre that specializes in listening tests. These tests are conducted with products ranging from hearing aids, headphones or noise annoyance. A case study was provided with windows and how the sound of rain on windows can affect the consumers liking. The presenter explained that panellists attend their facility and listen to sounds in designated rooms and assess the sounds just like panellists would with a food, drink or non-food product. The presenter demonstrated sounds the panellists heard in the test with 3 different recordings as part of the presentation. Listening to the sounds one after the other was very insightful as they were explained why one of the sounds was the most preferred and one of the sounds was least preferred. This was an excellent example of how other aspects and not just flavour impact on our senses with everything around us. 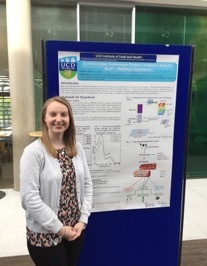 As part of the poster presentations, I presented a poster about my current work with beef steak. It was interesting to see the other posters also and learn about what other students and researchers are currently doing. I thoroughly enjoyed the conference and feel that I have a better understanding of how sensory evaluation is not just about the flavour but many other factors. I look forward to attending the next IFST conference in the future! After 8 months at the University of Nottingham researching into my PhD titled ‘Developing an understanding and improved sensory quality of low alcohol beer’ I saw an email circulated in university about the IFST Young Scientist Competition. 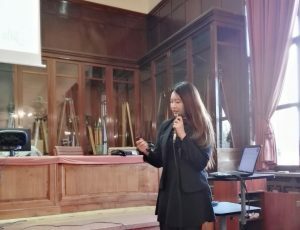 I decided to send in an abstract – I thought it would be a great way to get my research out there, as well as develop my presentation skills to different audiences. The competition took place on the 9th May at Coventry University, with a mix of students from Harper Adams University, Coventry University, University College Birmingham, University of Nottingham and University of East Anglia. The judges were Vicky Collett (PepsiCo), Andy Kerridge (Wyvern Food Group and SCI representative), Steve Jackson (Addo Food Group) and Charlotte Foxton (Sainsburys). The evening kicked off with a talk from Andy Kerridge, IFST Midlands branch, and Ann Green, the Head of School at Coventry University. We then started off with the undergraduate competition, which included 5 minute presentations ranging from puff pastry to mulled wine to the influence of colour perception. All of the talks were very interesting and I was surprised to see how many of them included sensory aspects – a key area of food science in my eyes! After a short break, the postgraduate competition then started which consisted of 10 minute presentations. This included a range of talks from interesting freeze drying techniques (with samples to try), food structure and digestion and insect product development. I was the last to speak on the night and my talk included research from my sensory study conducted over the past few months into the influence of ethanol concentration on liking and sensory attributes within beer. The judges asked me a few questions on the commercial application of this research too. After a buffet dinner and networking time the winners were announced. 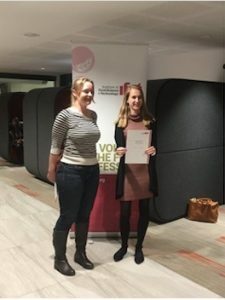 Jessica Giovanni won the undergraduate category and audience prize on her research into whether colour could be a solution to obesity. The postgraduate prize was then announced, and to my surprise my name was called! All of the other talks were so interesting and very different from each other so I was not expecting to win. As part of my prize I won membership for IFST and SCI for the next year, a tour of the Eurofins facilities (which I will be going to in July) and £200. I decided to use this money for Food Science purposes and treated myself to dinner at The Man behind the Curtain – Michael O’Hare’s Michelin starred restaurant in Leeds which was an amazing sensory experience! My advice for anyone in the UK who is thinking about entering the IFST Young Scientist Competition next year (or an equivalent competition in Europe) – go for it! It’s a great way to practice your presentation skills in front of a friendly audience and has definitely boosted my confidence for my next conference/symposium. I would like to thank the organisers of the this event for giving me the opportunity to present my research here, as well as the judges and my supervisors and sponsors (Campden BRI and BBSRC) for their help with my research so far! María Vallano and Ana Jiménez presented their work “Consumer perception of new products from farmed fish by means of free word association test” at the VI Italian Sensory Science Society Conference, thanks to a young researchers’ exchange program developed between SISS and AEPAS. Authors: 1Jiménez, A., 1Vallano, M., 2Guerrero, L., and 1Chaya, C.
Affiliation: 1Dept. of Agricultural Economics, Statistics and Business Management, Technical University of Madrid, Spain; 2I.R.T.A, Finca Camps i Armet, 17121 Monells, Girona, Spain. First of all, we would like to thank the collaboration between Società Italiana di Scienze Sensoriali (SISS) and Asociación Española de Profesionales del Análisis Sensorial (AEPAS) for supporting us to attend the 6th SISS National Congress in the beautiful city of Bologna, Italy, from November 30th to December 2th. The SISS National Congress gathered researchers, workers and students involved in different fields of sensory analysis from Italian universities and companies. Therefore, it was an excellent opportunity to discover the latest findings and trends in this field and to share opinions and different points of view. Additionally, some international invited speakers participated at the conference like Joanne Hort, Betina Piqueras-Fiszman and Gastón Ares. 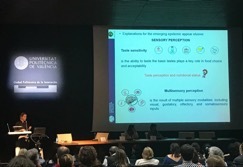 The Congress was held in four main sessions, the first one dealt with the individual variation in food perception, the second focused on the consumer’s affective response towards products, the third session was about the sensory properties involved on product descriptions and the final session was based on the composition of food product and sensory properties: instrumental and sensory studies. Each session had a reserved space for poster presentations. And there was a session dedicated to The Award SISS Giovani Ricercatori and The International Award in Sensory and Consumer Science. We had the great opportunity to do an oral presentation at an international conference like SISS. Our study focused on consumers perception of new products ideas manufactured from farmed fish using the free word association test. This test proved to be a useful tool for capturing the most unconscious dimension of consumer perceptions, thus proving a valuable input for the development and optimization of new products. In addition, we enjoyed visiting Bologna city (Le due Torri, Basilica di San Petronio…) and shared an amazing gala dinner in Cantina Bentivoglio with the attendees to the Conference. To sum up, we would like to say thank to SISS-AEPAS for giving us the opportunity to attend this interesting conference. It was a great academic and personal experience that we highly recommend it to other students. Chloé Flattard sensory analysis supervisor at the Livestock Institute (IDELE). What degree did you do and how did it get you to where you are now? Originally I wanted to work in veterinary medicine; however I ended up attending EBI (a generalist engineering school in biology) for a master’s degree in biology. I chose to specialise in conception and products innovation in food and cosmetics. During my studies I discovered sensory analysis and formed an expert panel on cosmetic products. As my interest in this field grew, I sought out several internships in sensory analysis to gain experience. 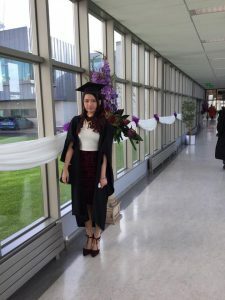 Finding a job in France wasn’t an easy task: I successively worked in two services providers in sensory analysis before joining the Livestock Institute, which I have now been at for a year. Why did you choose to work in sensory analysis field? I really care about developing new products that will appeal to consumers and correspond to their expectations. I enjoy being in contact with panelists and being constantly active in my daily work. Another aspect I enjoy is leading a study from the beginning to the end and being able to appreciate how far the project has gone! Could you describe your job and your goals? I work for the livestock Institute where I manage sensory and consumer studies for farming in general, as well as working specifically on meat and milk products in my intern sensory laboratory and also in other firms. What I really enjoy is the diversity of the tasks. I am often away for my work to advise different firms and oversee studies, so I never get bored! When I started the livestock institute and farm field, I realised that it was very difficult to work on meat, as it is a complex product, due to variation between animals. We have to deal with many species and complex studies! What do you think about sensory analysis and its evolution? Sensory analysis is still in evolution. Professionals are concerned about these sensory problems and want to provide quality products corresponding to expectation behaviour. There is a lack of papers and information on certain products, so each firm train their expert panelists in different way. Can you give an example of a project you are working on? Currently, little is known about consumer expectations for meat: there is little data available, and it focuses on surveys rather than sensory analysis. We are currently working on a big project to understand consumer opinions of meat. We are organising tasting sessions to understand various traits, such as colour, fatty meat and its acceptability. How do you want to advance you career? In the future, I would like to develop the sensory activity within the company and offer more services to other firms. I will have to develop my business and commercial skills to successfully offer our services as best as I can! Some advice for beginners in sensory analysis? Go ahead!! Sometimes it is necessary to make compromises to get a great job. The more experience you gain, the more likely you are to get your ideal job. A good way to improve your skills is to work in a company which provides sensory analysis services. Do you work with other countries? What kind of links do you have with other countries? I work with very few foreign companies, but I know that Australia is advanced in the field of meat tasting – they have created a system which predicts the quality of the meat from sensory results. We need to learn from their expertise to develop this same system in France. Any interesting anecdotes or last comment to end with? One of the harder (and funnier) parts of my job is carrying out consumer tastings with children in the dark – I didn’t think that I would have to stop hide and seek games during my work hours! The seventh biannual Eurosense conference on sensory and consumer research took place in Dijon, France in September. The conference included 48 oral presentations, and more than 250 poster presentations. With 664 attendees, a jam-packed programme with both an interesting scientific programme, well thought out exhibitions and a strong social platform, this year’s conference was larger than ever. The name of this year’s Eurosense was “A Sense of time”, and with such a full program, the sense of time was fast. The conference also included workshops and tutorials. E3S hosted two well-attended workshops discussing taste sensitivity, with the focus on Implication of taste sensitivity on food preference and food behaviour, and taste sensitivity measurement and genetics of taste, respectively. Several members of the E3S student group were involved in the oral presentations given at this workshop, a good indication of the continued importance of research regarding taste sensitivity. Members of the E3S student group as well as other students were also involved in and gave several other oral and poster presentations. Another highlight for the young researchers at Eurosense was the second meeting of E3S Student group. The group arranged a get-together during lunch, with attendees from the majority of the 13 countries represented within E3S. Networking as well as discussions, both formal and more informal, was the agenda. Review written by Frida Felicia Vennerød, PhD-candidate, Nofima and The University of Oslo. This post is about my time working as a fellow for the Parliamentary Office of Science and Technology (POST). The IFST (amongst other funding bodies) fund one fellowship a year for a three month placement at POST. This is a great opportunity for PhD students to experience how scientific research is disseminated to the Members of Parliament. I applied for the POST fellowship last year because I have always been interested in scientific communication and thought it would be a great opportunity to get involved in an entirely different area than I’d thought about before. The fellowship involves a 3-month placement researching a scientific topic that is either currently being discussed in parliament, a recent change in legislation has occurred or there is great public interest. The final outcome is a 4-page briefing note, referred to as a POSTnote, that is thoroughly researched and peer reviewed. I was given the POSTnote topic “Intellectual property and plants” (see picture below) and found the whole process of researching this topic very interesting and different from anything I’d ever done before. My degree is in Human Bioscience and my PhD is sensory based so this was a different area to say the least! To research the POSTnote topic, understanding policy that relates to the topic is vital as well as having an understanding of the science. For example, the POSTnote I researched was about the intellectual property (IP), therefore, the first thing I did was find out what kinds of IP exist and how scientific inventions are protected by them. Having an understanding of genetics helped as much of the debate revolves around whether patents should be granted for essentially biological processes such as conventional breeding (breeding two plants together to produce a new plant with a mixture of traits from the parent plant), however, not much of the hard science actually went into the final note (very little space means you can’t go into the deep science). After this initial background the majority of the time spent on the note is in interviews with stakeholders and government departments to further understand the issues and concerns. I contacted about 30 people regarding my topic and interviewed about 20. This gave me the chance to really understand the different sectors and how they influence each other. Everyone had conflicting views on the topic and most provided me with further reading and more people to chase up, which was great. 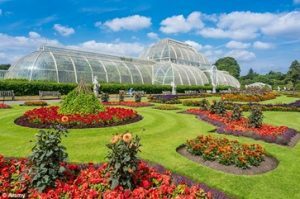 I even got a free visit to Kew gardens for a day to speak to the head of IP and business. During my time at Westminster I was given lots of opportunities to attend debates, PM question time, select committee meetings (MPs & Lords invite speakers to gather evidence on particular issues. I attended one where Jamie Oliver spoke at regarding childhood obesity and sugar tax), APPGs (committee meetings for members and Lords, similar to select committees but a bit more specific), and sit in on debates. Further to this, I was given the opportunity to talk at an APPG meeting after my POSTnote was published, which was both a terrifying and wonderful opportunity. Furthermore, I also wrote various proposals for the POST board about which POSTnotes should be written next. These varied from E- cigarettes regulation to causes of obesity. To conclude, I thoroughly enjoyed my time at POST and would definitely recommend applying if you found this post interesting. Skills that are required for this fellowship include: good communication, organisation, good personal manor, and ability to be objective and unbiased. The IFST funded fellowship deadline has now passed but go to http://www.parliament.uk/mps-lords-and-offices/offices/bicameral/post/fellowships/ for a full list of funders to see if you can apply for any of these. Contact me via Linkedin: https://www.linkedin.com/in/sarah-smith-83813192? Inter-individual differences: How to describe them? What is the impact for tests and products development? This April, the French Sensory Analysis Association (SFAS) annual conference took place in Paris. The interesting subject about inter individual differences was discussed all day long. Find a summary of the day in the next article! We had the great opportunity to start this day with the presence of Margrethe Hersleth, the chairwoman of E3S. She exposed the missions of this European association, and detailed the different working groups and the new involvement of our European students group! Lets started with some promotion of our group! The day promised much! The subject of inter individual differences was firstly discussed by Farnaz Hanaei from Agroparitech. She observed that if the evaluation is too calibrated, controlled or even made by trained panellist we can lose the perception of inner diversity in consumer perception. After that, another approach was highlighted by a marketing researcher, Marine Kergoat, through the creation of a new scale for touch. This scale would help to fully understand consumer motivations on touch needs when they buy a product. Does a consumer need to touch a product for a precise and conscious goal or just for pleasure and, then, an unconscious goal? The importance of segmentation on the statistical analysis of study results was demonstrated by two employees of Sensostat company. The differences in preference between several groups of consumers were explained using case studies to detail segmentation and an appropriate cluster analysis. This technique is interesting because it explained some details that are not noticeable with a simple ANOVA analysis. Furthermore, classifying consumers according to their perceptions is a great challenge too. In fact, if the perceptions are not homogeneous between consumers, how could their preferences be? 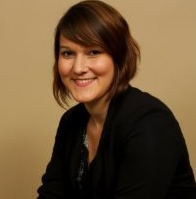 Finally, the project Epipref was exposed by Virginie Herbreteau. She explained the tools, survey and sensory evaluation provided by this project in order to see if a link exits between the preferences and the behaviour of consumers for fat, sweet and salt products. This presentation was completed by the thesis presentation of Aurelie Lampuré. 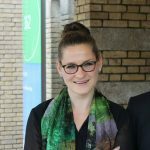 She received the Laureate thesis prize for the importance of her work, and it’s contribution towards understanding and explaining the link between the sensory attraction and consumer behaviour for sweet, salt and fat products. Thanks to the project and thesis a correlation could be established between the preferences and behaviour of consumers. This day was very rich in various and interesting information about interindividual differences! A lot is still to be explored on this subject! Don’t hesitate to join our linkedin group (E3S Student group) and share your experiences on the subject or open a debate! Itchy or scratchy? Lumpy or smooth? In February a meeting of the Sensory Science Group (SSG) took place, discussing the challenges of texture and mouthfeel evaluations. Read more about it in this article. The SSG is the national sensory science group within the Institute of Food Science and Technology (IFST) in the UK. Several times per year a one-day meeting is organised, covering different sensory related topics. This time it took place at the University of Reading. The topic of this seminar was texture and mouthfeel – what are the challenges and how can you screen a panel for texture sensitivity? This topic was particularly interesting for me as my PhD research investigates the mouthfeel of black tea! I was therefore excited to listen and learn more. Approximately 25 people attended the meeting, including 5 students – a great opportunity to get to know more sensory professionals and PhD students. The meeting started with a talk by Cindy Beeren, the Chair of the SSG. She gave an overview on the methods available to screen a panel for texture sensitivity. It was very interesting to hear that for example small sugar letters can be placed on the tongue and an individual’s ability to detect and correctly identify the letter is used to evaluate their texture sensitivity. We also had the chance to test our own touch sensitivity using Semmes-Wienstein monofilaments. It was really good fun to test each other using these “pencils” which have a fibre filament that vary in size. They are touched onto the skin to identify an individual’s detection threshold. As you can imagine only very sensitive people in our group were able to detect the smaller pencils! 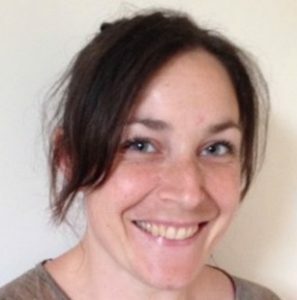 Ruth Greenaway, project manager at Sensory dimensions, discussed the challenges faced in the personal care sector when it comes to texture evaluation. She highlighted the requirements for a personal care panel and the difficulties to evaluate these products. The talk ended with a practical exercise where we were asked to rank three hair samples for increasing smoothness. It was not as easy as I thought because two samples were very smooth, and it made me think how difficult it must be to prepare standards for this type of product. The last speaker was Tony Milanowski, Lecture at Plumpton College and he spoke about mouthfeel in wine, the talk I looked forward to the most. He gave a very comprehensive overview about mouthfeel in wine, and how difficult it is to use a common language because many wine tasters use their own vocabulary and definitions can be contradictory. I thought the exercise at the end of his talk was the most challenging one. As you may know, in the last decade touch standards were introduced to help panellists to compare mouthfeel to fabric texture (silk, velvet ect.). You can see in the picture we had 3 different wine samples and were asked to feel the fabric and match it to the mouthfeel of the wines. I found it very difficult to match the perception of a liquid in my mouth to the sensation of touching a fabric. I can only imagine how much panel training is required when this method is used. The meeting finished with a networking lunch, where I got to talk to some interesting people. I really enjoyed the meeting and I am looking forward to the next one. 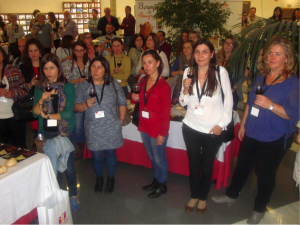 Last October, the first Spanish sensory conference was celebrated in Ciudad Real (Spain). Learn the details from the testimonial of a student! October 21st – The conference is about to start and first of all I am surprised of the great attendance to the conference! Almost 100 participants from 16 Spanish universities, 3 Spanish research centres and 24 food industries and techonology centres. Furthermore, among the attendees there are 20 students all working or investigating in the sensory field. There is also representation from different countries, such as Portugal, France, Mexico and Uruguay. We all enter in the lecture hall; the room is almost empty and there are several people standing up in the back! The theme of the first session is “Sensory perception and methodologies”. My nerves are on edge, as I am the last oral communication of the day. I am presenting the last results of my research “ The impact of using evoked scenarios when measuring emotional response to beer” . However, the other oral communications are quite interesting and time passes without realizing. Finally, it is my turn; I fit to the time available and I get some interesting questions! It is time to relax with a tasting of PDO products of La Mancha (wine, olive oil, cheese, bread, saffron and aubergines). October 22nd – New day and new communications and posters. Today, we start with the continuation of the last session, followed by the second session “New developments for the innovation in the industry” and the third session “Characterization and quality control of PDO products”. There are also two oral poster session with a new technology that I have not seen before in any conference. Instead of printed posters, the posters are projected in screens around the room. I find this alternative original and convenient as you don´t need to travel with the poster! At the end of the day we all go to Almagro (an historical town) for the gala dinner. October 23rd – Last day of the conference. This last session theme is “ Perspective of the Sensory analysis”. 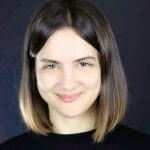 There are two guest communications: to open the session, the researcher Paula Varela (NOFIMA, Noruega) will give the talk “Sensory characterization from the consumer: new alternative descriptive methodologies”. Finally, the professor Erminio Monteleone (University of Firenze, Italy) will give the closing ceremony keynote entitled “New directions in Sensory Science: the Role of Sensory Science Societies”. All into together the first national conference has been a success! With 88 accepted communications (24 oral communications and 64 posters), it has been a good opportunity to realise the importance of the sensory analysis in Spain and to meet other students working in the sensory field in Spain.